Whenever we go for shopping, be it in real or just window shopping, what catch our eyes quickly are the mannequins wearing the prettiest of the tops or those envious black dresses available on that shop. We drool over it for sometimes and get back to our senses to check whether we have enough money to own it or not! But do we miss anything? Of course yes! The bottom! We can never ever go out wearing just a top. The bottom wear is equally important as the upper. Nowadays with the availability of the wide range of trousers for women and jeans for women, we the women are rocking it! Even the Palazzo pants are such a pleasure to wear! Talking about bottom wear, whatever is available to us is indeed a long list. So what are these? First of all, we have jeans for women which are something without which we even dread to think what would have happened to us if the British had not brought this style. It is super comfortable and the most convenient choice for a day long wear. There are many types of Jeans like the shorts, three quarters and the full ones. There are different hem as well. There are some which are tighter at the ankle and some have loose fitting ankles. Some are ripped as well, which adds a pop element to the look! 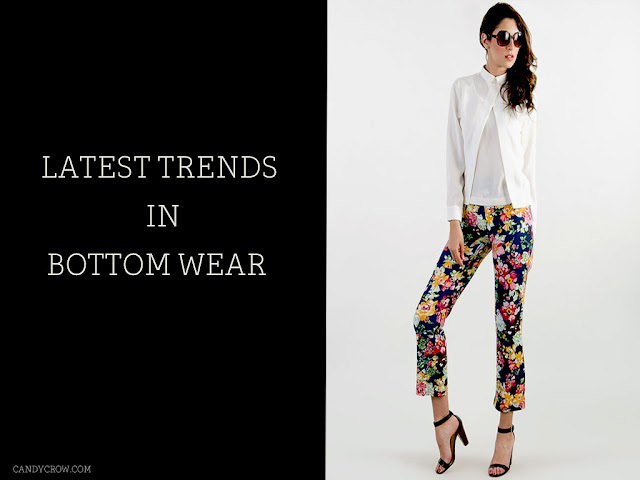 Apart from the ladies jeans, there are many bottom wears which are ruling the trend right now and we just cannot get over them. To start with, there are the Palazzo pants which are super airy and extremely comfortable for a casual wear. They are breezy and flat which makes the skin breath. The availability of Palazzos online has made a better deal for us to try out different look by sitting at our home. Nest most popular in trend are the Jeggings. It is a happy fusion of something between jeans and Leggings. To sum up, it looks like a jeans but gives the comfort of a leggings. The trousers for women take the game of looking good a step further. It undoubtedly gives us a corporate look, and can be teamed up with shirts or tees. Next we have Patiala pants. They are also known as Salwar Pants and the name is derived from the place of its origin Patiala, in Punjab. It is a type of female trousers, which is extremely loose in nature and has a wide hem. In some schools in India, it is considered to be a part of the uniform. Lastly, we have Harem Pants. These pants have gained a lot of popularity quite lately and they are another name for Comfort! They are extremely loose fitting pants which are made of soft clothing. So now that we know the different types of bottom wear, the Question is how should we wear them? The answer is simple. 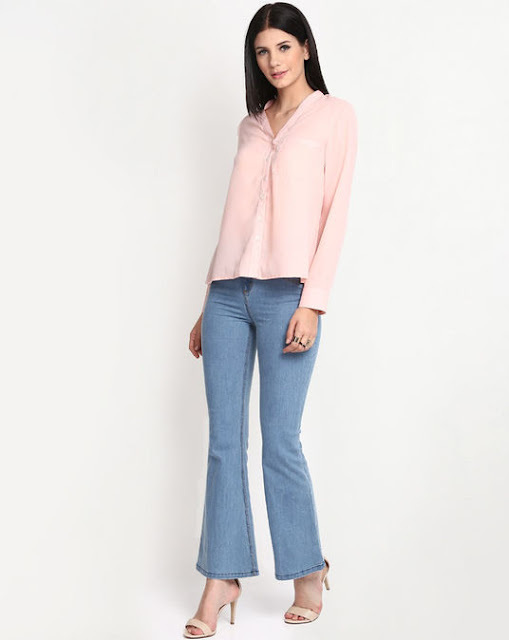 The Jeans can be worn with any kind of tops or even a Kurti. For Palazzo, it is better to wear a tighter top which will balance the look. While wearing Harem Pants also it is the same. For Jeggings, the rule of the jeans applies. You can also sport this under those little black dresses to impart richness to your look. But with Patialas, mostly a Kameez or Kurti teams right. And for the shorts, you are free to choose any kind of top that makes you feel comfortable. So, honestly, now that we are more aware of our bottom wears, we are ready to step in to the world of fashion. If you are in doubt, just buy the jeans for women, or wear the trousers for women for a change, or even browse for Palazzo pants on the web. The online shopping sites are really well equipped with latest range of fashion wears and what seals the deal is the affordability. So what are you waiting for?